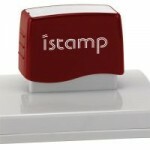 Pre Inked Stamps are an excellent choice for business and personal use and we have a wide range available. Pre-Inked stamps are quick and easy to use and can be re-inked when needed. If you are unsure of which Pre Inked Stamp to buy just send us a rough draft of your text/tabulation and we will organise a proof for your perusal. Check that the sizing and information is correct and useable. We strongly recommend that if you need to write on your stamp impression or have to fill out boxes and circle or tick information that you not only look at your proof but print it out so you can make sure there is sufficient space to fit in all your details. If you want to include a business logo you can send us your artwork as a pdf or eps file with a minimum of 300 dpi. It is very important to use the correct ink when re-inking your Pre-Inked Stamp as use of the wrong ink will damage the stamp text plate and therefore reduce the life of the stamp. We have all the inks in stock to re-ink your Pre-Inked Stamp with to keep your impression clear and readable. The ink used in the Pre-Inked Stamps is different to the ink used in the Self-Inking and Rubber Stamp range. 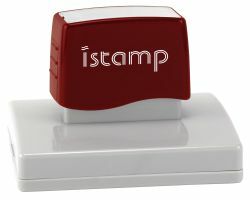 The Ink for Pre-Inked Stamps is an oil based ink whereas the ink for Self Inking and Rubber Stamps is a water based ink. Click here for our Pre-Inked Stamp range. To place an order or obtain a quote for your custom pre inked stamp please email us from the link below.